We are engaged in manufacturing Carbon Seals for our clients. These are available in various specification and are used where oil and grease lubricants do not work with corrosive liquids and gases helps in contamination by conventional lubricants that are to be avoided. 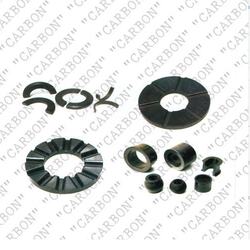 Further, the entire range of Carbon Seals provided by us is mainly used for making carbon seals and mechanical seals. We manufacture Carbon segment rings, carbon segments and Carbon seals which are used in all types compressors, Steam Turbines, Water Turbines, Gas Turbines for different type of industries like Sugar, Cement, Textiles, Power Plant & Electricity Board etc. Allianz Electric & Radio Co.
Leveraging the vast technical expertise and the sound distribution network, we have been successful in providing our esteemed customers with a range of premium quality Moulded Carbon Ring and Components. Appreciated for its perfect finish and sturdy construction, the products are fabricated using premium quality raw materials. Riding on unfathomable volumes of industrial expertise, we are offering an extensive array of Carbon Seal. 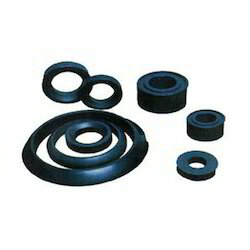 Offered seals are available in various specifications and are used where oil and grease lubricants do not work with corrosive liquids and gases helps in contamination by conventional lubricants that are to be avoided.